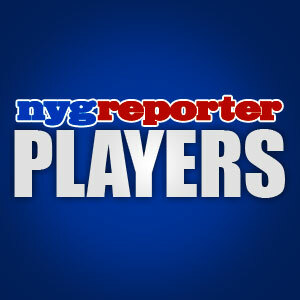 NEW YORK – QB Eli Manning organized a practice with some of the players this past week. He took the initiative after the lockout flip flopped back and forth and is still currently about to enter it’s second month. It is an absolute shame that the players have to go to Hoboken high school in New Jersey (we love Hoboken) to get some work in. The New York Giants had nearly a quarter of a billion dollars playing on a high school field so they could get some work in. That’s crazy. It is also awesome. It shows Manning’s maturation into the true leader we all knew he would be one day. He crossed that line years ago but more importantly he has maintained it. I say bravo to Eli and the players who went out and played ball for a couple of days to get the blood flowing. Now that is old school! Former WR Plaxico Burress was also in the news this past week. Burress will be released from prison in a month and the $64,000 question remains, will he play for Big Blue? There have been a ton of reports saying he will not be with the Giants. My perspective on the matter has not changed. I say the man deserves another chance since he has paid his debt to society for a crime (it was really an accident) where the only person injured was himself. For those not familiar with the story, Burress shot himself in the leg at a NYC nightclub with an unregistered gun. The guy had been a bit of a problem child before the incident but I am confident he has learned to appreciate the blessing of playing football for millions of dollars. The Giants truly have nothing to lose with giving him a league minimum contract for one year to see how well he does. Reports had Eagles QB Michael Vick very interested in speaking with Burress. Giving Burress a one year deal is worth it just to keep him from going to the Eagles as a scorned man. He is reportedly in terrific shape and could still be a very dangerous wide receiver in the NFL. The rest of the NFL news has been extremely quiet. The lockout is now in it’s 58th day and still nothing has been worked out. It is now going to effect the minicamps and is getting close to messing with the OTA’s scheduling. Tom Coughlin will adapt and adjust but wouldn’t it be nice if he could follow the schedule he had planned all along. They still have to work on free agency, where I expect there will be a feeding frenzy among teams who are just waiting for the light to turn green before taking off. Free agency is going to be a ton of fun once the lockout is over for all of the NFL teams and NFL fans. Happy Mother’s Day to my Mom and all of the Moms out there! NEW YORK – What a weekend it has been. The 2011 NFL Draft is over and the Giants have acquired some very talented players. I’m starting to understand the true meaning of the phrase “you can’t please everybody” because there have been some Giants fans who flat out think this draft was a failure. I’m not sure what they were watching, because I think GM Jerry Reese and his staff nailed the draft once again. After taking some time to digest all of the picks, I have to give Jerry Reese a solid “A” grade. Some of the picks seemed a bit confusing to me initially, but not anymore. You can clearly see what the team was doing, and I find it brilliant. The Giants literally stole CB Prince Amukamara and DT Marvin Austin from the rest of the NFL. I expect both to be pro bowl players within three years if they can get playing time and perform well enough to stay on the field full time. Without question, these two guys were the best picks of the bunch for Big Blue. Only time will tell how good these two rookies can become, but their potential is off the charts. The Giants 3rd round selection of WR Jerrel Jernigan was a big shock at first, until I did some research on the guy and realized how good he is going to be on special teams. The Giants are sick of all of the issues on special teams and addressed that area thoroughly in the draft. Most rookies usually start their NFL career on special teams anyway, so I don’t want to sound like Jernigan cannot become an outstanding NFL wide receiver. He was clearly taken for his lightning speed, playmaking abilities, and what he can bring to the table in 2011. The Giants 4th round pick, OT James Brewer, is a project player who will need to learn the NFL system and work on his technique. If he can get that part of the game down, this massive man could become quite an asset for Big Blue in an area of need. The Giants did not have a 5th round pick this year because they traded it away when they acquired RB Darius Reynaud last season. All of the players from the 6th round (The Giants had three 6th round picks this year) and beyond are the biggest question marks of all. We know that you can draft some future stars in the latter rounds, but it remains to be seen who that star might be. Some experts are in love with LB Greg Jones and think he can be a very productive NFL player one day. Personally, I am rooting for all of these rookies to do well and make the team. Their success only makes the G-Men a better team in the end. The Giants minicamp will be the next event on most fans radar, followed by training camp. The NFL lockout reached it’s 52nd day today and will need to be resolved before any football activities can resume. You can find the full list of 2011 NFL Draft picks below. Enjoy! How would you grade the Giants selections in the 2011 NFL Draft? NEW YORK – The Giants waited until their final pick to grab a running back with RB Da’Rel Scott (5’11” 211 pounds) from Maryland. There were a ton of fans who thought the G-Men should draft a RB with one of their early round picks (I was not one of these people). If there is a word to describe Scott it would be fast. This kid ran a 4.3 40 yard dash at the combine and could become a regular on special teams to start his career if he makes the team. I love these late round picks where the guys have a ton of heart and a desire to do work. The Giants had a very good draft in my opinion. There seem to be mixed emotions from the Giants fans out there but rest assured, the Giants got some quality talent for the team. I really liked the first three rounds. I have a gut feeling about DT Marvin Austin and that feeling is telling me superstar. I was happy to see GM Jerry Reese really attack the special teams issues by drafting a running back and wide receiver who could be used in that very important area of the game. The G-Men also drafted a ton of speed. Some of these guys are quick as lightning and having that kind of speed on the football field can’t hurt. I also expect Prince Amukamara to become a pro bowl caliber player for the Giants in the near future. He has become a fan favorite overnight. The 2011 NFL Draft is officially over for the Giants and we must all get back to reality now and the NFL lockout. I hope both sides can work something out quickly and get back to playing the game of football instead of the game of economics. The fans are fed up and expressed that very sentiment on multiple occasions the past three days. I’m exhausted from this draft and will probably sleep for 48 hours straight, so I say goodnight Giants fans and I will see you on Monday. Let’s take a look at all of the Giants picks for the 2011 NFL Draft. What do you think about the Giants grabbing a RB with their final pick? NEW YORK – The final day of the draft is the longest of the bunch but the picks are also coming at you faster. The Giants did not have a 5th round pick this year, so they had to wait to take LB Greg Jones (6’0″ 242 pounds) with the first of three picks they have in the 6th round of the 2011 NFL Draft. The Giants have a total of three picks in the 6th round due to the extra two compensatory picks they received. So far, the G-Men have yet to make any trades or attempts to move up to grab a player. It seems the Giants are content to make their picks where they sit and I have to agree with them considering the lockout is still in effect and the NFL rule book is still up in the air. Jones is said to be a heavy hitter, have a solid work ethic and can be extremely aggressive on the field. The experts say the only rub on him is a lack of size. The Giants trainers and nutritionists will take care of that. Jones played college ball at Michigan State and I’m excited to see what he can do with this opportunity. The second player the Giants took in the 6th round was S Tyler Sash (6’0″ 211 pounds) from Iowa. Sash will no doubt be another work in progress because he sits behind some very talented safeties on the team. Still, I’m hoping he can become a pleasant surprise for the team. The third and final player the Giants took in the 3rd round is LB Jacquian Williams (6’3″ 235 pounds) out of South Florida. There isn’t very much information out there on this kid. I’m guessing this a pick the scouts had rated high enough to reach for. I wish him luck and hope he can make the squad. I have said it before and I will say it again, the NFL needs to go back to the old system of having the draft over a 2 day weekend. They are trying to squeeze too much juice out of this thing and they have made it less enjoyable for the fans in the process. I guarantee the current draft schedule was a major factor in why the TV ratings dropped in 2011. Not to mention, the NFL completely ignoring the entire west coast of the United States by starting rounds two and three at 6:00 PM EST, which is 3:00 PM on the west coast where people are still at work or school. Really Roger? Let’s take a look at the moves Big Blue has made thus far. 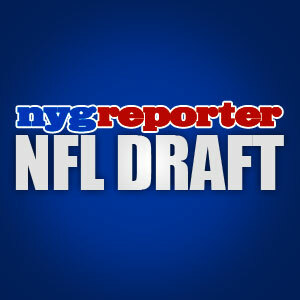 What do you think about the Giants 6th round selections? 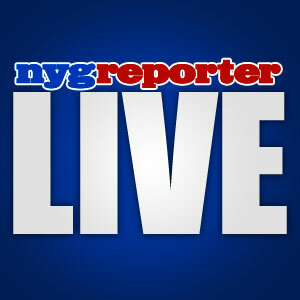 NEW YORK – After all of the hype and fanfare, we have finally arrived at the final day of the 2011 NFL Draft. The first two days provided some exciting picks and the Giants have once again had an above average first three rounds. The Giants selected OT James Brewer with their 4th round pick. Brewer is a huge guy standing 6’6″ and weighing 323 pounds. He has also been described by experts as a work in progress. He clearly has the size to be an offensive lineman but will need to work on his skills to make it at the next level. He played his college ball at Indiana. The Giants needed help on the offensive line and have now addressed that area. Most fans thought the team would take a rookie that was ready for the next step and not take on a project. It seems like that is what the team did here. Again, we will need to wait and see what this kid can do on the field and keep our faith in the Giants scouting team. We need to trust that Jerry Reese and his guys know what they are doing. There were a lot of Giants fans calling for the team to draft LB Quan Sturdivant who was still on the boards when the team made this pick. That will be another player the fans will keep a close eye on during his career. The Giants do not have a 5th round pick (traded away for RB Darius Reynaud). Fans will have a long wait to the 6th round unless Big Blue decides to get rid of some of their compensatory picks from round six. NFL Commissioner Roger Goodell was mercilessly booed every time he went up to the microphone and he was clearly uncomfortable with that fact. It didn’t help that they announced the 2011 NFL lockout was back on yesterday. As the fans chanted “We want football”, the powers that be chanted “We want more money”. It’s getting ridiculous now and maybe the poor television ratings for the draft are a sign of the times. Enough about that, let’s take a look at how the Giants did during the first 4 rounds. New York Giants 2011 NFL Draft Picks (Rounds 1-4). Are you surprised the Giants took OT James Brewer instead of LB Quan Sturdivant in round 4? NEW YORK – The Giants are quietly having a very nice draft (as usual). After making two very good picks, the Giants continued to stack talent in the 3rd round by drafting WR Jerrel Jernigan (5’9″ 185 pounds). I have to admit that I was just as shocked as the other Giants fans when this pick was announced because we all thought the G-Men would address the offensive line here or the linebacker position. The breakdown on this kid is he will be an extraordinary return man in the NFL and he will give the Giants some depth at the wide receiver position. He is known as a playmaker by experts and has explosive speed which he demonstrated many times at Troy. Tom Coughlin and the front office are clearly sick of all of the issues on special teams and have thoroughly addressed that area with a very high draft pick. I’m not suggesting that he won’t see any game time as a WR but that is a very deep group already. Jernigan’s initial value would clearly be as a returner with his breakout 4.4 speed. Some fans are already calling him Sinorice Moss number two. I don’t think that is fair because we haven’t even seen this rookie on the field yet. I want to give this kid a chance to make his own name on the field and show us what he can do before I come to any conclusions. The fact that GM Jerry Reese made this pick has me excited because he wouldn’t have pulled the trigger if he didn’t see exceptional talent in this young man. The Giants still need help at the offensive line position and the linebacker position but apparently the Giants have a plan in mind that would not require using their high draft picks to acquire either of them. After two days of the NFL Draft, the Giants picks are starting to come to light. Here is what it looks like so far. Be sure to come back tomorrow and read articles on the final rounds (4-7). Draft coverage begins at noon on Saturday. New York Giants 2011 NFL Draft Picks (Rounds 1-3). Were you surprised that the Giants took a wide receiver in the 3rd round?